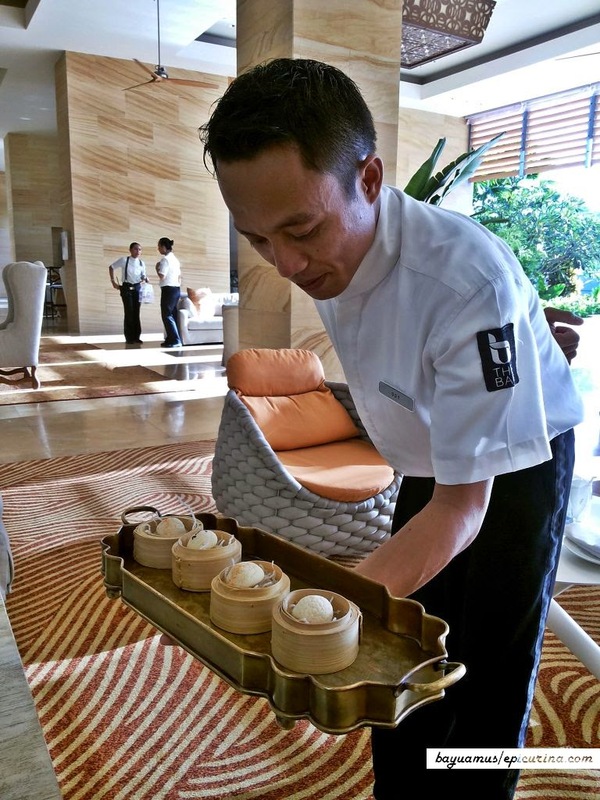 Haute Tea Couture is the theme of a fashion show from Bali's designer Oka Diputra, shown at The Mulia Bali during its Afternoon Tea program. 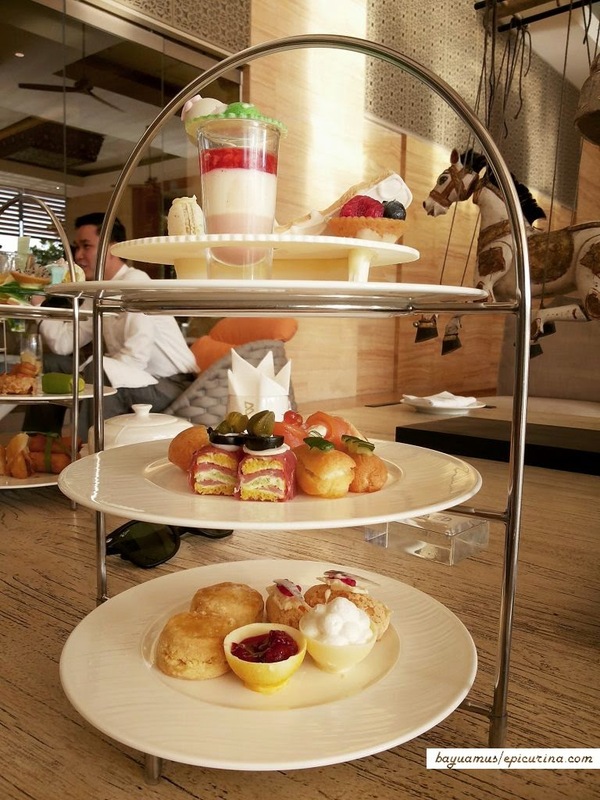 Starting in early 2014, The Mulia offers two different kind of treats for its Afternoon tea: Classic or Indonesian. As you might have already guessed, the classic set offers international selection of snacks and desserts, ranging from the savoury bites like canapés, and the sweets like pies, pudding, and macaron. 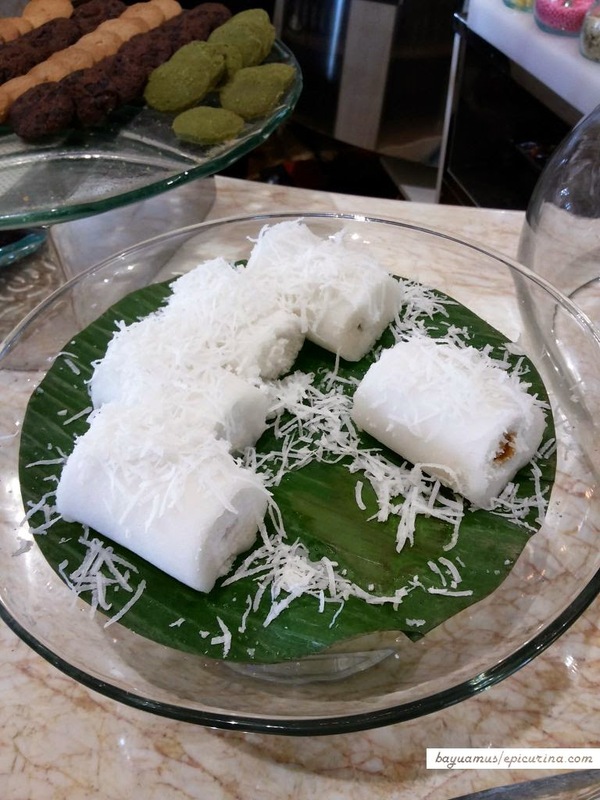 The Indonesian selection on the other hand presents the refined version of Indonesian desserts and snacks, like lumpia, lemper, and the delicious Lapis Legit neatly decorated as a blue gift box. With each set, there are no limitation to what drinks can you order, as The Mulia offers a range of tea and coffee to accompany your afternoon tea. 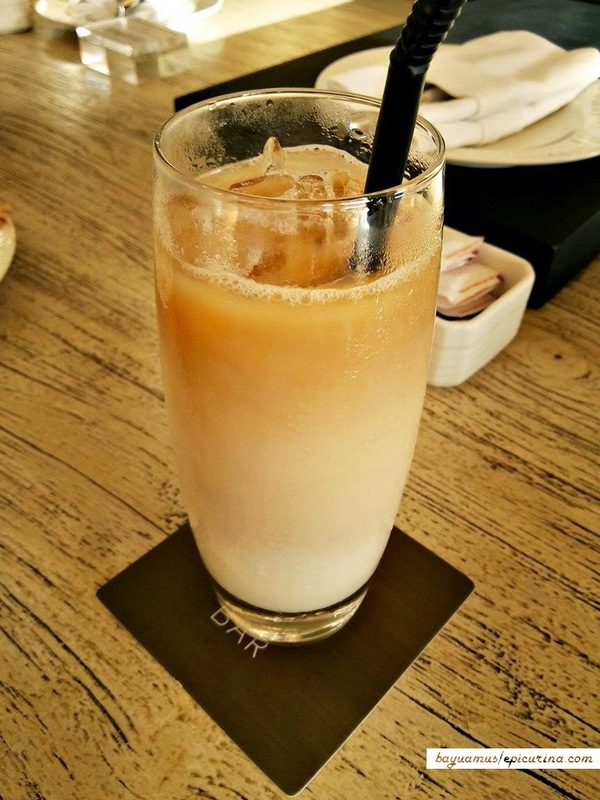 Thinking of having something energetic, initially I choose Ice Latte to go with my Afternoon Tea. However as the afternoon progress, and the heat of the Balinese sun was becoming more intense, I quickly switched my option to their Iced Tea, and happily sips through glasses of them as the waiter keep offering to refill my empty glass. Beside of the delicious snack and desserts coming with your set, there are also selections of individual treats circulated around by the server. 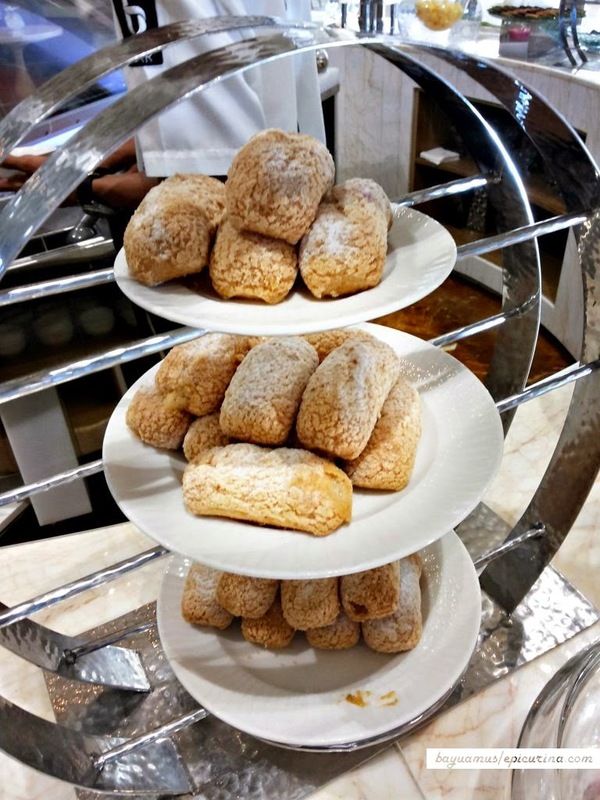 As if those option are not plenty enough, along with any set of Afternoon Tea you order The Mulia offers as compliment, free entry to The Cafe's all you can eat dessert section! If you love desserts, then you better make sure there's plenty of room still available on your tummy, as this dessert station is quite a sweet-tooth heaven. Standing as the main attraction of the dessert section is their Gelato corner which offers delicious selections of both gelato and sorbet, along with its colourful toppings ranging from jellies, chocolate rice, fruits, nuts, and berries. What's also good beside of the tons of matching possibilities, all of the gelato and sorbet are made in-house at The Cafe, thus its freshness and quality are well maintained. There's also a dedicated cake and jellies display next door, not to mention various international and traditional snacks available for you to choose. The fashion show itself started around 5 pm, where Oka Diputra showcasing his beautiful Haute Couture collection, mostly in black. 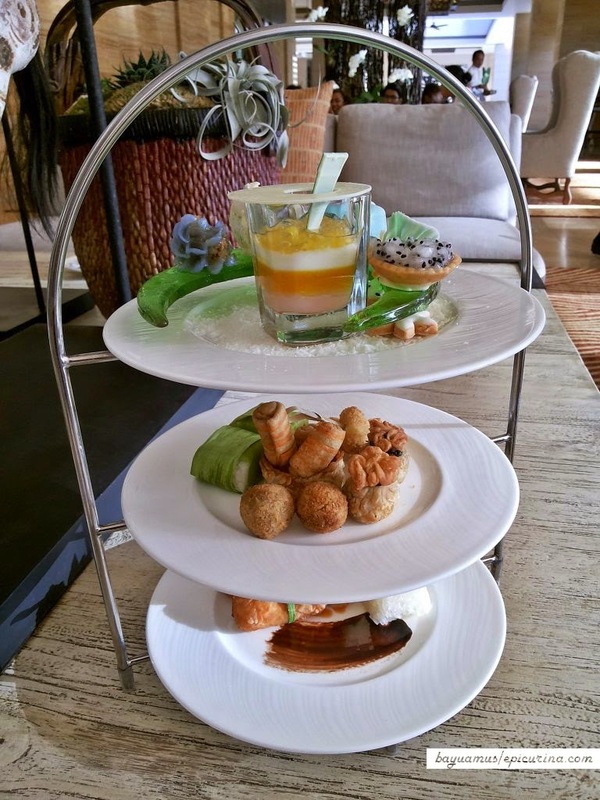 As with the fashion show itself, The Mulia's Assistant Communications Manager Kris Mikail Silitonga explained that it will become their regular part of their Afternoon Tea, as naturally the majority of guests for their Afternoon tea are women. 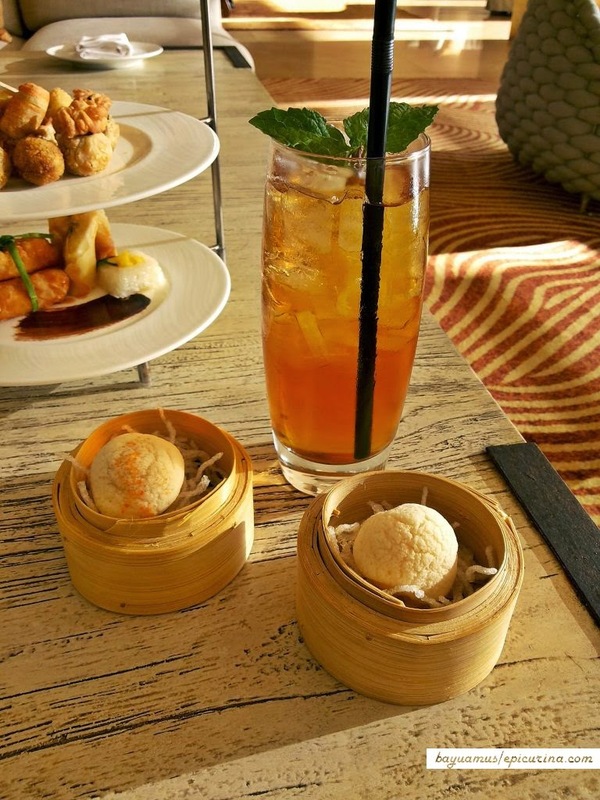 If you're planning to try out The Mulia's Afternoon Tea, I'd strongly suggest to dress down, as the seating area are facing directly to the West, hence you'll experience the afternoon Balinese sun in its full intensity.